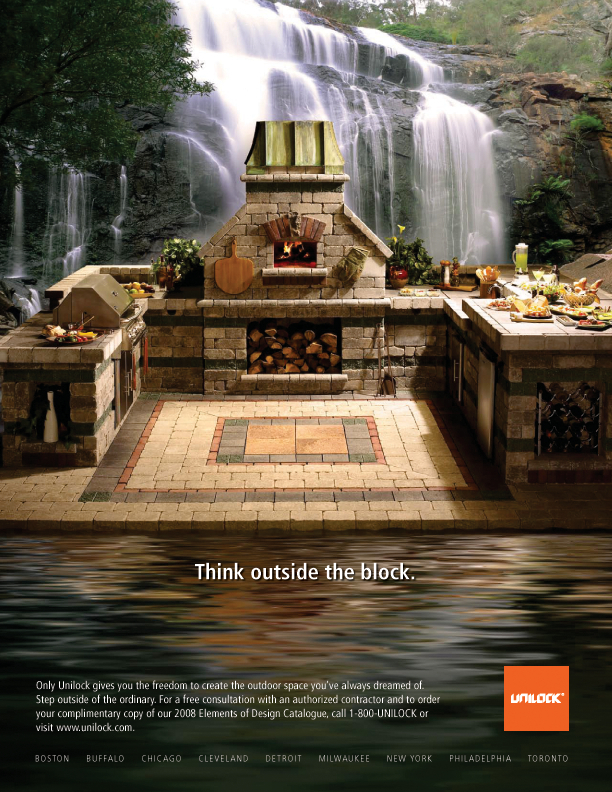 Four print ads from the campaign. 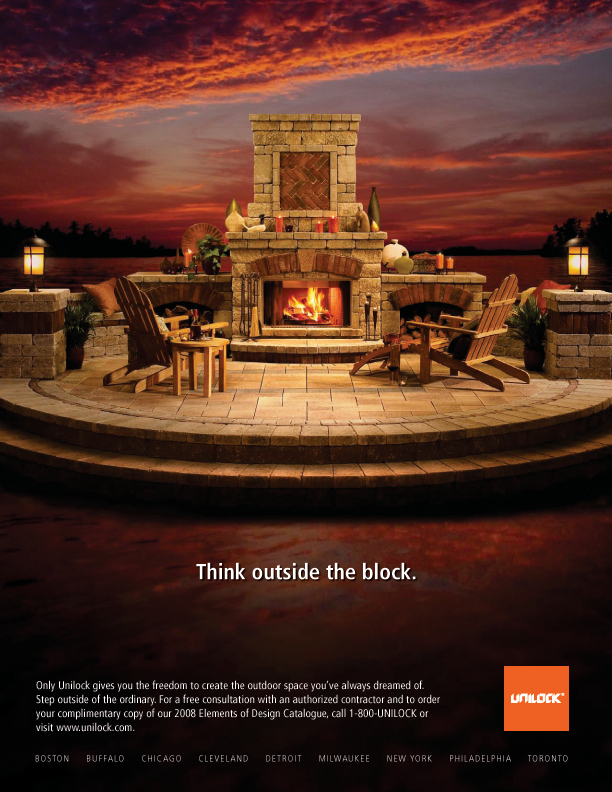 Print advertising and brand campaign launch for Unilock. 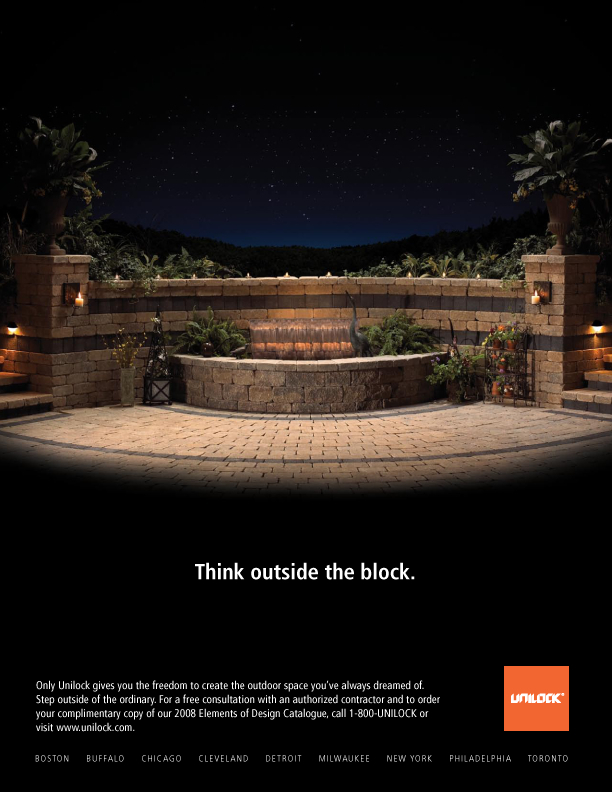 In a completely unique market where landscaping and hardscaping cannot be distinguished by brand, Unilock broke ground (pun intended) by highlighting a series of outdoor installations. 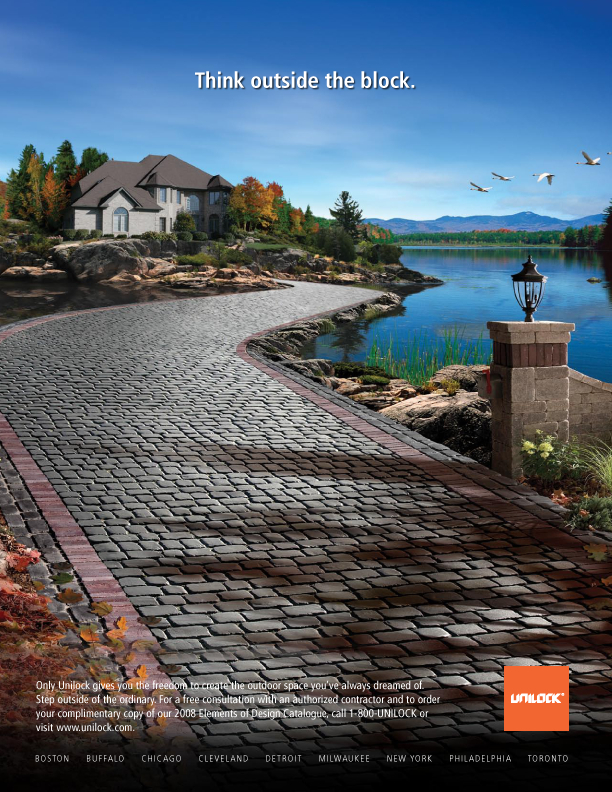 Each installations was created in studio, photographed and then digitally retouched into exotic outdoor scenes.